Hydro Excavation is much more precise than any other type of excavation; which in turn, saves time, money, and the environment. Heavy machinery moves more dirt than is necessary and costs more when backfilling and cleaning up. Hand digging is very labor intensive, time consuming, and will also create more work when backfilling because of the imprecise nature of manual excavation. The ability to remotely excavate allows Southern HydroVac to remove soil and debris without disturbing the surrounding areas. Being able to dig out for a new manhole next to an existing building without undermining or damaging the structure is a valuable service especially in an urban environment. Being able to dig safely in ground containing existing utilities without causing damage allows Southern HydroVac to save time, money and cleanup for our clients. Being able to quickly and precisely excavate for utility installations and connections reduces labor cost and risk of injury. 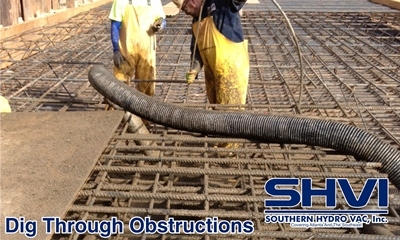 Call now to find out how Hydro Excavation from Southern HydroVac can help with your next project. Hydro excavation has emergency usefulness as well. When emergency repairs to underground utilities occur, quick and precise access is needed. 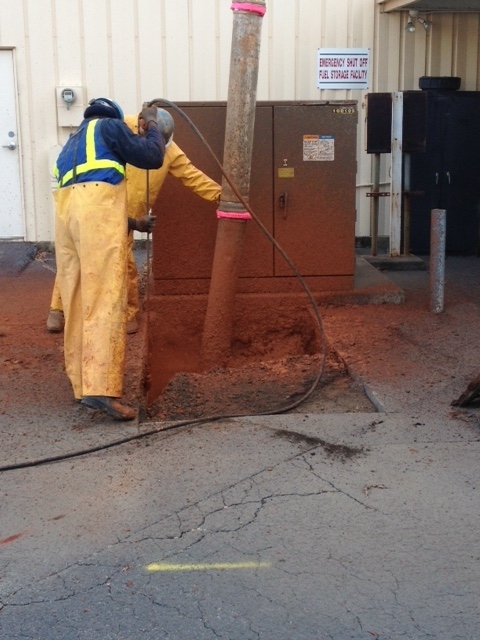 Hydro excavation is the best and most efficient way to make repairs. If a severe storm causes erosion control measures to fail, Southern HydroVac can help remove sediment washed into roads, streams and culverts. Our services are available 24 hours a day, 7 days a week. Southern HydroVac’s soil and debris removal service can be used to remove this soil or debris wet or dry depending on the type of truck. Many times on construction or demolition sites, soil and/or debris must be removed and hauled away. 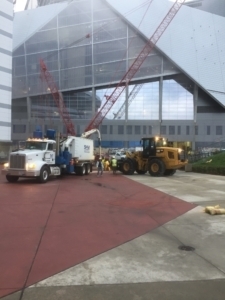 The precise nature of these trucks allows removal without damage to surrounding areas and the safety of workers is maximized because there is no use of heavy equipment. The truck can be located at a safe distance from the work zone as well to minimize congestion. 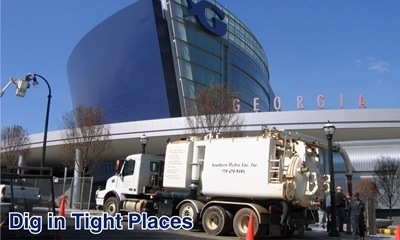 Within the Atlanta Metro area, new construction and redevelopment projects have to connect to existing utilities or work in close proximity to existing utilities. This makes excavating for a new manhole connection to existing sewer, stormwater, underground electrical and communications lines extremely difficult work. 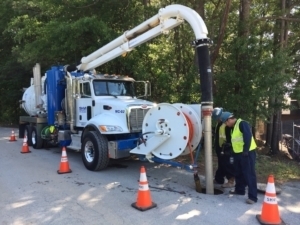 Southern HydroVac can help by safely, efficiently and effectively removing soil in a tight space to a very specific depth allowing a manhole to be placed directly onto the existing utility..